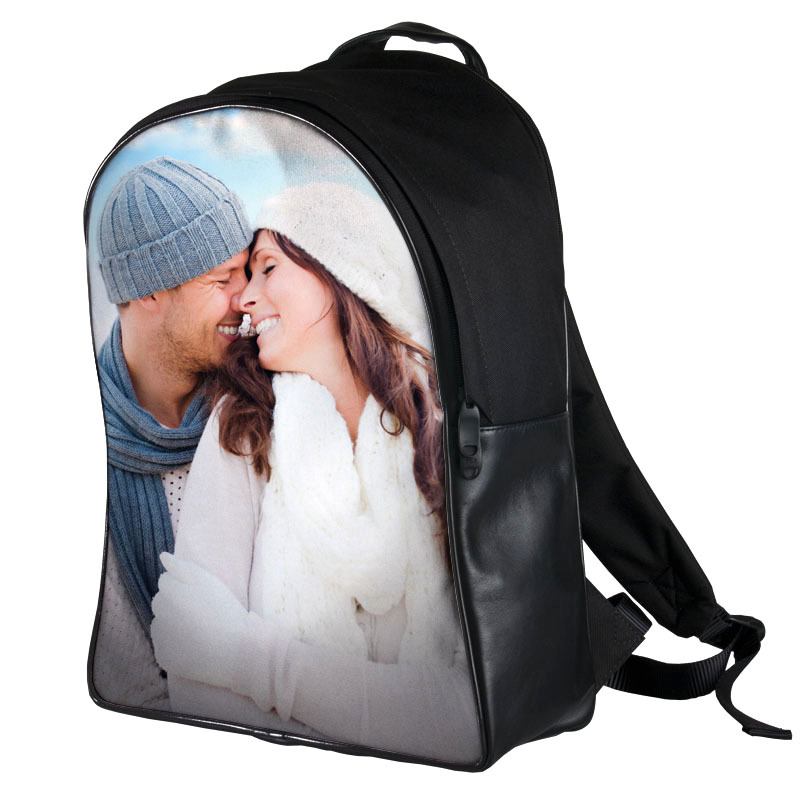 Create a custom photo backpack by putting a picture of you and your friends, or your favorite photo. Add text to create a personal message. With our simple process you can personalize your own backpack in any way you can imagine. Our fashionable personalized backpacks are ideal for men, women, and children. Every step of the process is ideal for you in mind, first, the customizing and designing process is one that is simple and allows for you to create exactly what you want. Then we hand make it in our own shop, cutting and sewing the bits together, also note that we use Italian Napa leather for the handle, the base and partially on the sides. The whole process is a top priority for us and will be done in 1 to 2 days within the order. Design your own personalized backpack with Bags of Love, you are sure to be impressed and make your friends jealous. This product has great colors, a super print and looks very professional. Thank you for doing a great job! I loved the bag. Great quality. The quality was great. I loved the bag will definitely be ordering more. Thank you. Our backpacks have been examined, re-done, and thoroughly perfected for the utmost best product. The bag can be used by a designer with aspirations for their own label, or just for an awesome person in everyday life. It is a sturdy object, containing a roomy compartment with a double zipper and a special padded protection layer to cushion the bag on the carrier's back. Create your own custom backpack and hold your belongings in a one of a kind creation. Like many of our products, the personalized leather backpack comes with a quantity discount, so order more than one today and save money. We use the finest of materials, so we treat them with the respect they deserve, carefully printing, hand cutting and hand sewing the bag together to achieve only the highest of standards. Your photo is printed onto lightweight canvas so there’s no way your color is going to rub off over time. Care: Wipe clean with a damp cloth. For particularly stubborn stains, add a little soap or drop of detergent. We’d suggest using portrait pictures to suit the oblong shape, as important features or faces may be cut off when using landscape images. For your son or daughter, you want to design something truly unique that can’t be found in any shop, so think of designing a backpack personalized with all the names or nicknames of their friendship group. For an innovative idea, create bespoke rucksacks for a community or charity walk as a way to raise awareness and spread your message. Rucksacks are quite the fashion statement at the moment, but with your own customized one, you’re getting ahead of the curve already. Also designed for outdoor use and travel, if the intention is to use your leather bag for treks and hikes, photos of beautiful landscapes, oceans and mountains would look simply stunning – and possibly inspire you to explore new areas! And like many of our products, you have the option to create a photo collage if you really can’t decide on one theme.